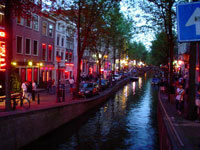 The picturesque country that is the Netherlands is home to a wealth of art, history and culture. While Amsterdam deservedly dominates the tourist trade there are a number of other interesting cities to explore, like Delft and Rotterdam. The Netherlands is also blessed with lovely natural landscapes so it is no wonder why tourists flock here every year. 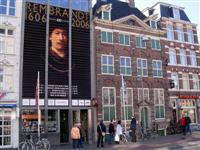 The Netherlands' sights and attractions are often distinguished by historical names such as Anne Frank or Rembrandt, who are both immortalised in Amsterdam museums. 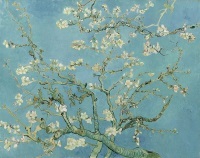 Other highlights of the country for tourists include the Van Gogh Museum and the notorious Red Light District (De Wallen), as well as the ancient city of Groningen. 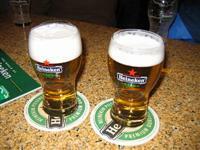 Visitors can also enjoy a Heineken at a café and mingle with the friendly locals, or cycle leisurely along the beautiful canals. Amsterdam is well known for its tolerant position toward cannabis, which can be smoked in designated 'coffeeshops', but tourists should note that it is not strictly legal, just traditionally tolerated, and that smoking in public places can still get you into trouble with the authorities. 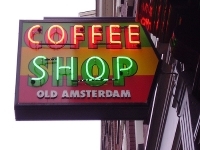 As a country the Netherlands has been trying to discourage the tourist drug scene recently and it is not as tolerated as it once was; in fact, most Dutch cities no longer allow foreigners to buy or smoke cannabis, and Amsterdam is becoming the last outpost for 'coffeeshops' frequented by foreigners. As laws and social practices are currently in flux regarding cannabis use it is recommended that travellers check official sources before visiting. An authentic European destination, travelling in the Netherlands offers great historical sightseeing and artistic attractions, combined with a truly cultural experience. It is a great destination for culture-vultures and pleasure-seekers alike.